ICD-10 demands preparation, or else your home health agency will see rejected claims, payment delays, and even fines. 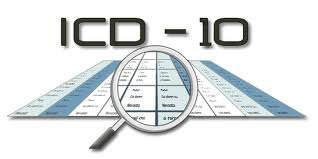 Save time and money by attending the only ICD-10 implementation training specifically designed with the budgets, resources and needs of independent home health agencies and hospices in mind. Well cover how ICD-10 will affect every aspect of your business and help you structure the transition plan appropriate for your agency. Register today to ensure that your operations, staff and procedures are ready for the Oct. 1, 2014 deadline.